Martin Blake has been playing guitar and singing since the big Folk-Blues scare of the mid 60s and is still performing regularly today. He started out by playing in pubs and folk-blues clubs and spent a lot of the late 70s and early 80s busking in England and Europe, honing his fingerpicking style by listening to the masters of ragtime blues guitar, such as Mississippi John Hurt, Blind Willie McTell, Blind Blake, Rev Gary Davis et al. He has made myriad musical collaborations on his journey to the present day. In 1983, with friends Rob Strawson and Mick Freeman he formed the eclectic acoustic trio "Blakes III", which still performs today, albeit occasionally. A love of Cajun music prompted him to form the pioneering 6-piece Cajun band "Bon Ton Roulez!!" in 1988. In the 90s, along with Rees Wesson, he formed the Welsh Zydeco band "Joe-le-Taxi". 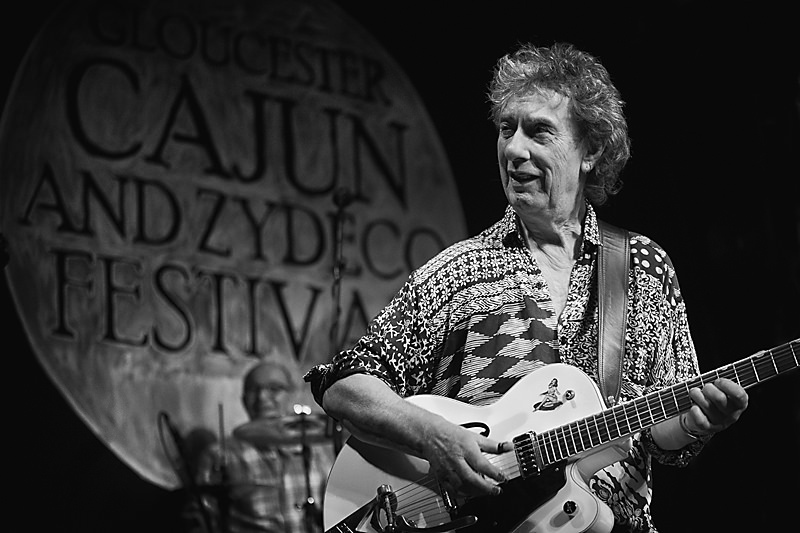 In 2001 he joined the South Wales Cajun outfit "Baton Rouge" after the departure of their guitarist. After a few personnel changes and a trip to Louisiana in 2003 with band mate Aidan Sheehan, it was decided to change the band name to "Whiskey River", after a couple of strange coincidences that left them in no doubt that this was meant to be! Martin's enduring love of the blues found him forming another band in 2001, "The Blake Plowman Blues Revue", with lead guitar maestro Dave Plowman and tenor sax wizard Ted Bunting (now a member of Whiskey River) which quickly gained legendary status, but unfortunately, due to the fact that most of the members worked in other gigging bands and were rarely available, it failed to find enough work in its own right and folded in 2003. In 2004, as a bit of a challenge, Martin took up the 5 string banjo and embraced all things bluegrass with an almost obsessive passion. He, with his Nechville banjo, is now a familiar figure on the British Bluegrass scene and has performed at many bluegrass festivals in the UK and abroad with Roland Emmanuel's band "Roots & Galoots" and wacky 4-piece "Half Cut Grass". He currently is the banjo player in the honky-tonk bluegrass 6 piece band, "The Grass Snakes". Look out for Martin in Whiskey River, The Whiskey River Boys (pruned down version of Whiskey River), Blakes III and The Grass Snakes. Very occasionally he will do a solo gig, if you're very nice to him. He's bound to be heading your way sometime soon. Catch him if you can.